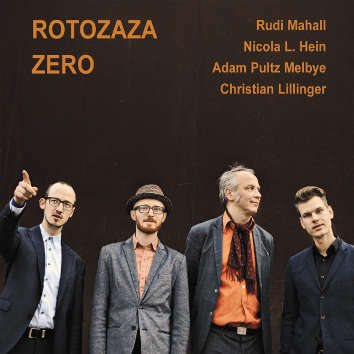 ROTOZAZA is Nicola L. Hein (guitar), Rudi Mahall (bass clarinet), Adam Pultz Melbye (bass) and Christian Lillinger (drums). This group from Berlin blends Free Jazz and what they call Sound Improvisation. The musicians integrate their knowledge of jazz tradition with free jazz and sound improvisation and use extended techniques that mark out European Creative Jazz. A distinctive feature of this outfit is spontaneous composing which they do with their own very special sound.